COQUITLAM, BC – Mariner Brewing has announced the release of a new autumn-friendly ale. Basking in the afterglow of a perfect fall sunset, the end of the day doesn’t mean the end of an experience. Our Chestnut Brown Ale combines English tradition with west coast taste, embodies the warmth of the season, and leaves you with the feeling of comfort. A base of Maris otter malt and sweet chestnuts from Oregon creates a rich, smooth, mouthfeel and lightly roasted flavour. 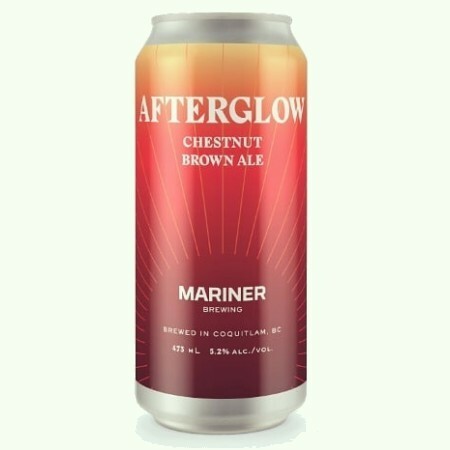 Afterglow is available in cans, on tap, and for growler fills at Mariner while supplies last.